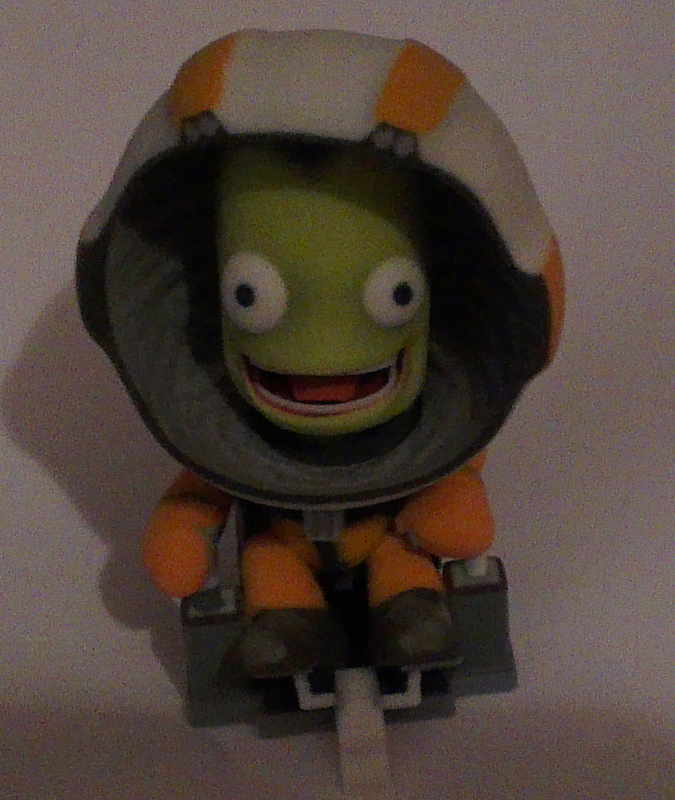 Jebediah Kerman is the premier astronaut of the Kerbal Space Agency on the planet Kerbin, and is considered mad due to his all encompassing grin, even in the face of certain doom. This model was 3d printed about 3″ tall in sandstone, and looks truly amazing – except for the price, which is close to £50. And I get to have him on my desk for the weekend to help with my interplanetary (and other) endeavours. Unfortunately, she’s taking him home on Monday. It seems Jeb likes it here so much that he decided to stay a few more days. I’ll say this for him, he’s a lot quieter than l’d have expected from his reputation.